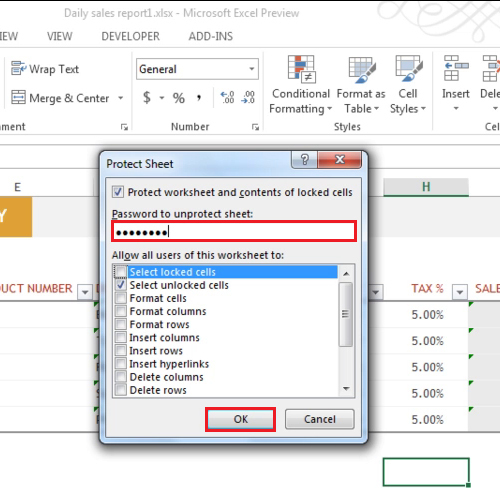 Microsoft Excel provides several levels of protection for your valuable workbooks by using passwords. However If you forget or lose your passwords, you won’t be able to undo the areas you protected by any normal means. 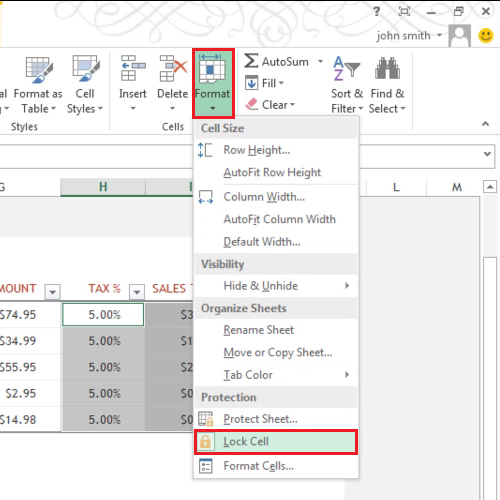 To learn how to set workbook permissions in Excel follow this tutorial. We have a workbook where there is data. Suppose we want other people to modify some cells, like data entry and not the whole sheet. So highlight the cells and click on the “format” button. To set permissions from the drop down menu, select the “lock cells” options to unlock the cells since they are locked by default. Now click on the “format” button and select the “protect sheet” option. You will be provided with these options that allow you to specify what users can or cannot do. We do not want users to select locked cells, so uncheck that box and type a password and proceed forward. Therefore it will require permission in Excel for the boxes whose passwords you specify. Save the worksheet and go to the “info” tab from the backstage menu. You will see that it tells you that one or more sheets in this workbook have been locked. 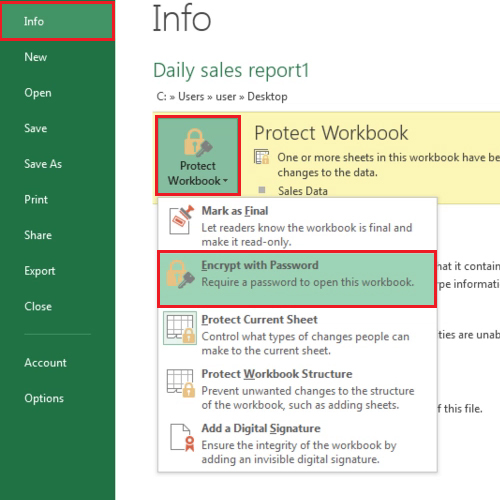 Click on the “protect workbook” button and from the drop down list select “encrypt with password” option to protect your Microsoft Excel workbook. Type in the password and then save the workbook and close it. When you will open the workbook next time, it will ask you for the password.